If you liked this show, you should follow Post Time with Mike Mike. 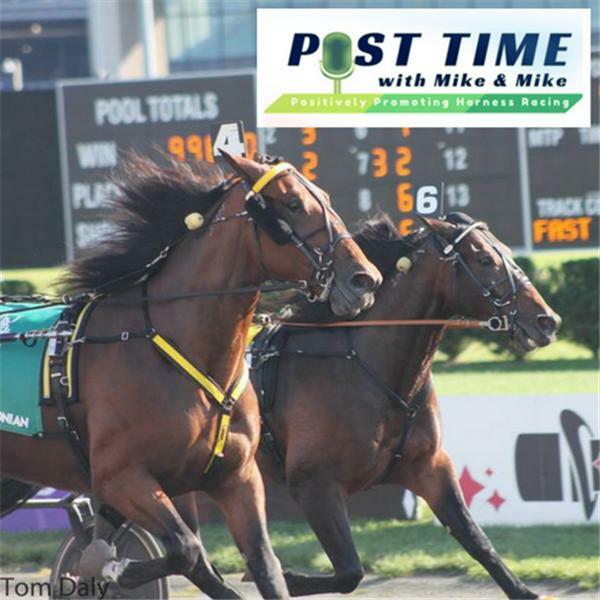 Elkton, MD – Post Time with Mike and Mike presented by the USTA/BetAmerica, is excited to announce the lineup for Thursday morning (March 14) at 10:30 a.m. They will be joined by new USTA Director Casey Leonard; Jenn Starr, Rick Kane, and Jim Beviglia, from the Downs at Mohegan Sun Pocono; and Yonkers Handicapper/Daily Racing Form contributor Matt Rose. Leonard who recently joined the USTA Board of Directors will join the program to talk about his experience at his first annual meeting. Leonard, from Illinois, has had an impressive career thus far and the duo will find out how he got into the sport. Starr, Kane, and Beviglia will join the program to discuss the opening of the Downs at Mohegan Sun Pocono who played host to the 2018 Breeders Crown. The trio will discuss what is on the schedule for their upcoming meet and also talk about what promotions they will have for racing fans. Regular Yonkers handicapper and DRF contributor Matt Rose will dive into the weekend stakes action at the New York City half-mile oval. The trio will discuss and analyze each of the legs in the Blue Chip Matchmaker and George Morton Levy Series. Post Time with Mike and Mike presented by USTA/BetAmerica can be heard live every Thursday at 10:30 a.m. via their website www.posttimewithmikeandmike.com or on the archive at www.betamerica.com/BARN.